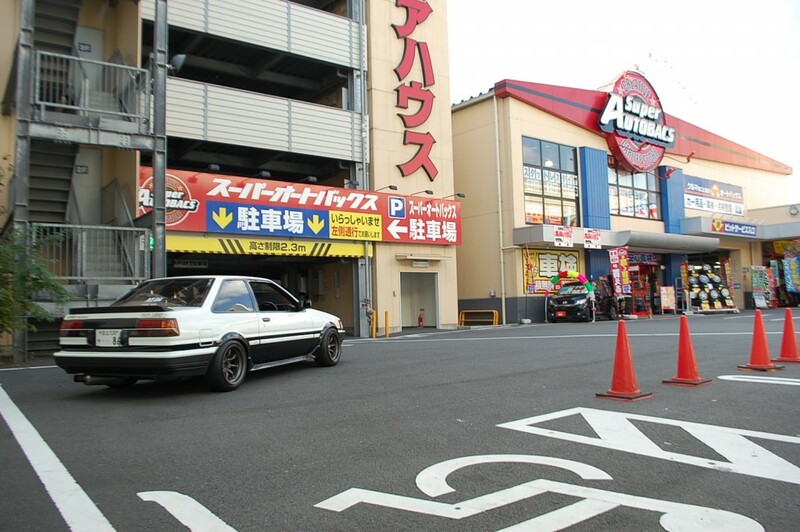 Way back last century (well ok, it was 1999…), my wife and I quit our jobs and went to Japan to teach English, although my main motivation for going was to bring a car back with me when we were finished! After about 6 months overseas, I’d had enough of public transport, and went to a car auction with another Australian who was based in Osaka and buying cars for car dealers in Australia, the UK, Canada and a number of other countries. Although I never did find myself a car that day, I got a call back from that same export company asking me if I’d like a job as a buying agent, beginning the following week. On the outside, it looked like the perfect job for a car nut like me, so I jumped at it. Let me tell you that working as a buying agent was far less glamourous than it looked. I worked 70-hour + weeks, with the occasional 20-hour day thrown in for good measure. The majority of the time at auctions was spent going out in all weather conditions to check the vehicles – there’s nothing like wiping snow off a windscreen to check a car’s auction number! This was also before the era of digital cameras, so selling cars to dealers was a matter of very accurate descriptions over the phone! Even though Japanese car auctions are now on-line, we still check every car we buy “in the metal” before bidding on behalf of our clients – it requires a lot more effort, but our customers get the right car every time. 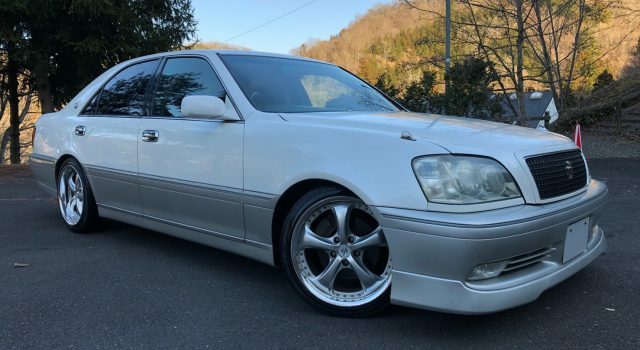 During our time in Japan, we managed to bring back four cars – A Eunos Cosmo 20B Type E-CCS (a dream car of mine – I’m an old rotorhead from waaay back! ), two MX-5s (one for my wife and one for my father), and a 1998 Galant VR-4 manual, for my fun car. Again, while this may sound glamorous, the amount of red tape we had to cut through to get them all into the country was incredible. At the end of 2000, we made the decision to return to Australia to have kids, and I went back to teaching in a primary school. 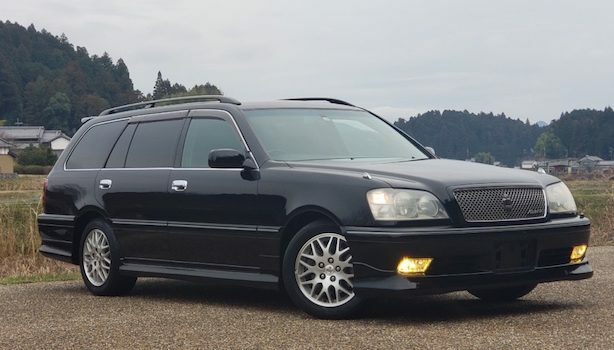 Having bought cars for my mates while I was in Japan, I had learnt the system for importing cars very well, and so began moonlighting as an import broker, importing cars for my friends. They then recommended me to their friends, and it soon began to snowball. By mid-2006, it had reached a point where I could turn what was once a hobby into a fully-fledged business, and at the end of 2007 I resigned from teaching so I could run the business full-time. Importing cars is still a real passion for me, and I’m very blessed to be able to make a living doing what I love. Back in the days when online car forums were incredibly popular, I chose the username ‘vrfour’ , but once my Galant VR-4 was sold, it no longer made much sense to keep the name. As a mad keen follower of the Japanese TV show ‘Iron Chef’, I selected my new username accordingly. Because most people came to me via the forums, the overwhelming response when I asked around was to keep my username in the business name so potential buyers could identify who I was. Thankfully I’m not selling cooking products or I may have had problems with the copyright! Having endured the GFC and the earthquake and tsunami in Japan in 2011, business began to grow to the point where I was able to bring in new staff to join the team. Troy and Alicia Fuller, a husband and wife team from Brisbane, were regular buyers through me at this stage, so I called them up and asked if they might be interested in taking on roles at Iron Chef Imports. They were so keen, they jumped on a plane to come and discuss it! Troy then began handling all new enquiries like a pro, and now has his own loyal customer base, which is fantastic. Alicia, who speaks fluent Japanese, handles all the paperwork for shipping and compliance once customers’ vehicles have been purchased. What a dynamic duo! By the end of 2013, Troy and Alicia were looking for new challenges, and decided to move over to Japan to buy cars direct from auction for Iron Chef Imports customers, in the same way I once did all those years ago. What a great opportunity for our customers! Troy attends all the major Tokyo auctions each week, so when you buy a car through Iron Chef Imports, you’re usually speaking to the person who is standing directly in front of the vehicle, not passing through 3 or 4 middle men! This also means we now have the capacity to purchase vehicles for any customers worldwide, so if you’re checking out our cars and live somewhere other than Australia, we can still help. With Iron Chef Imports spawning a number of sister companies importing vehicles to Australia from other parts of the world, the decision was made to incorporate all the various businesses into one parent company, called Auto Services Group. In practical terms, it doesn’t change the importing experience for our buyers, but recognises that the importing and logistics services we now provide are far broader than they once were. Exciting times! In 2014, the Department of Infrastructure began the process of reviewing the Motor Vehicles Standards Act, which regulates, among other things, the importation of used vehicles. The process has been incredibly laborious (standard procedure in Canberra, I suspect) and has involved many trips to and from Canberra to meet with department officials, government ministers and government senators to make meaningful changes to the system to allow our customers to import the vehicles they’ve always dreamed about. It’s a long journey, but it looks like things are finally moving in the right direction. Keep an eye on our blog for further updates.